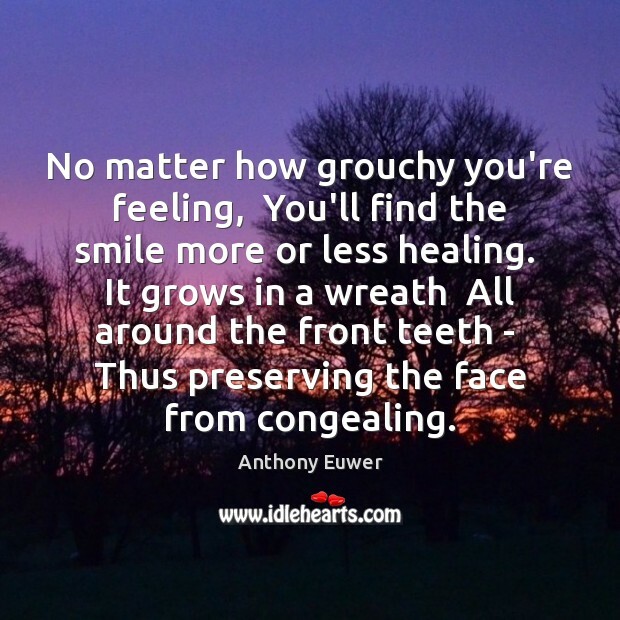 Enjoy the best inspirational, motivational, positive, funny and famous quotes by Anthony Euwer. Use words and picture quotations to push forward and inspire you keep going in life! Some cats are blind and stone deafdeaf some. 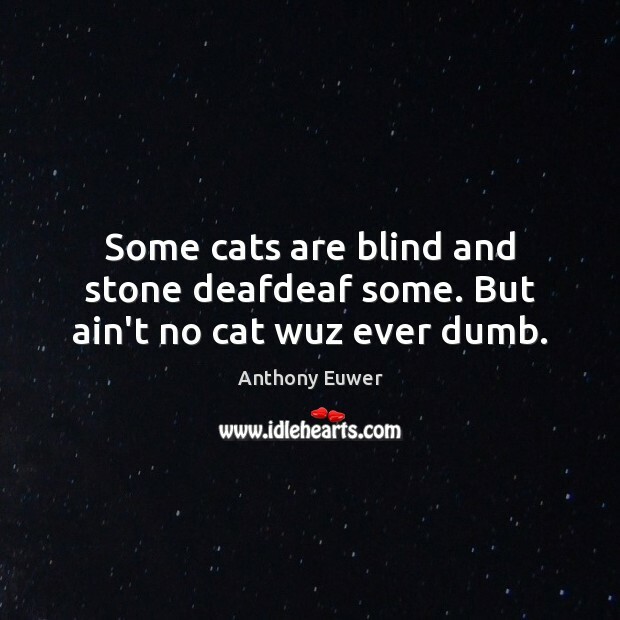 But ain't no cat wuz ever dumb. 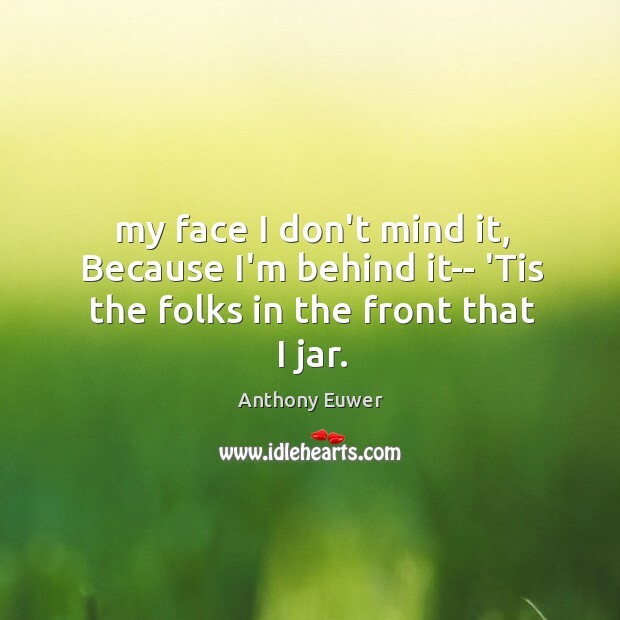 my face I don't mind it, Because I'm behind it-- 'Tis the folks in the front that I jar.